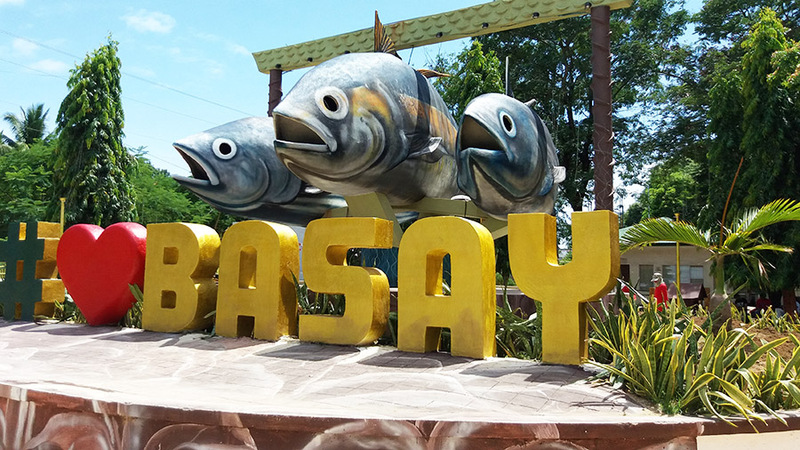 I go since a few years to the municipality of Basay to celebrate their annual fiesta there. Of course, this year was not different and I made it just in time for the Kapaw Festival 2018. Our friends from the tourism office there booked us like the last years into the Cañamaque Royal Suites 2 which is at a very convenient location and everything is within walking distance. One can’t expect a 5-Star accommodation in Basay, but the place has almost all one needs for a few days of stay. The rooms have a decent size, the aircon is working fine and the people are super friendly. We took a Ceres Bus from Dumaguete to Bayawan which takes about 2 – 3 hours, depending on the time you travel as the traffic can be a real pain at certain times. In Bayawan we walked 5 minutes to the jeepney terminal to hop on another 30 – 40 minutes ride to the neighboring Municipality of Basay. Alternatively, one can ride a V-Hire from Dumaguete to Bayawan, which is a bit faster. Upon arrival, we were already awaited and greeted by our good friend “The Noisy One” who made sure that all is OK. I felt like coming home. People there are really lovely and super friendly. One thing I forgot at home are my ear plugs. For whatever reason, it appears that everyone in Basay is shouting. Not in an aggressive way, but just on a level which is somehow above the level of loud talking. However, the loveliness of the people makes more than up for that. 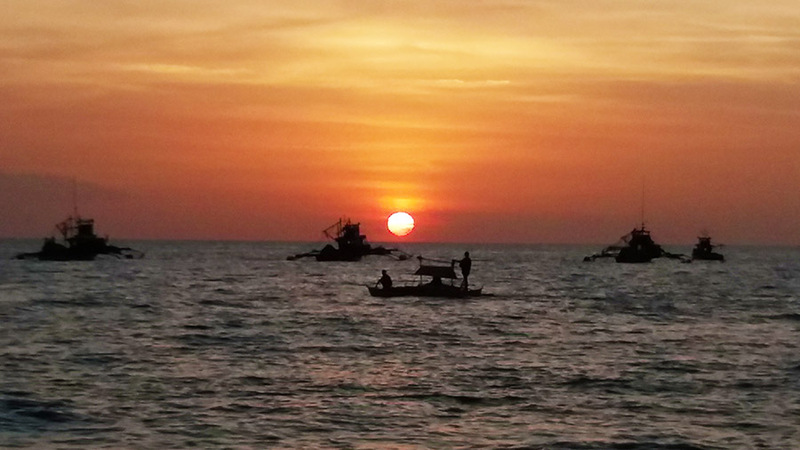 Over the last few years, I saw some of the best sunsets during my trips to Basay. What I like is that you won’t find many tourists there. When you go at the town to the beach, you are surrounded by old fishing boats and maybe some kids playing on the beach. It just has something special to watch the sun sinking into the ocean. A bit outside the town is a small resort where one finds a really great white-ish beach. That is a bit a more romantic place and also for those who don’t feel so convenient alone at a local beach under strangers. The Kapaw Festival is one of those celebrations really love. Even it is a smaller one, it appears that each and every one of the small municipality is involved and enthusiastic about it. That reflects in the passionate preparation work and the execution. Like the last years, the Kapaw Festival 2018 started with the Showdown in the packed municipality gym before the street-dancing took place after a lunch break. As you can see in the short video of the festival itself -which starts in the second half of the clip- it is really very vibrant and colorful. While I was supposed to stay there a few more days, some urgent client matters made me going home early the next morning. Sadly, I missed the Sugba Sugbba Festival and the coronation night for Miss Basay 2018. However, my two ladies were there and took some pictures and videos of the beauty pageant, which I posted just below here. Enjoy! I certainly look already forward to see my friends from Basay this year at the Buglasan Festival here in Dumaguete, or I might be even able to squeeze a quick visit in between my busy days, just to get away for a day or two.